Take a break for breakfast! A delicious, nutritious morning meal sets the tone for your day and provides an energizing prelude to your busy schedule. 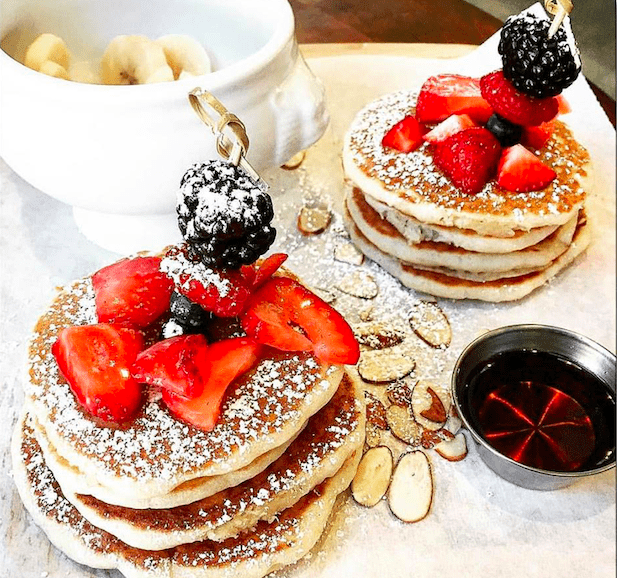 Whether you eating on the go, meeting with colleagues before work, or enjoying a leisurely weekend brunch with friends, Koreatown is a breakfast-lover’s banquet of cool cafes, trendy eateries, and even some hidden gems! 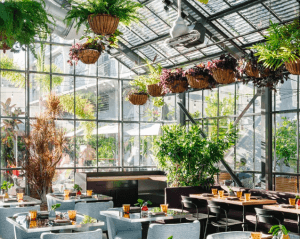 Created in collaboration with two-star Michelin Chef and native Angeleno, Josiah Citrin, Openaire is a poolside oasis of green at The LINE hotel in the heart of Koreatown. The menu features the best of California’s ingredients from land and sea, embracing the seasons and presented in a shareable format. Brunch, served Saturday & Sunday from 10:30AM to 2:30PM, offers an unlimited selection from their moving cart, plus an entree and bottomless Mimosas or Bloody Marys. Entrees include Hollywood Hills Omelet (avocado, tomatoes, spinach, aged cheddar, with sauteed potatoes), Bulgogi Hash (fried eggs, bulgogi, potatoes, mushrooms, brussels, scallion), and Eggs Benedict (poached eggs, Hollandaise sauce, sautéed potatoes, ham, smoked salmon, spinach, tomato). Birds Nest Cafe is a charming eatery with vibrant murals, a welcoming aroma of coffee, and appetizing comfort food. 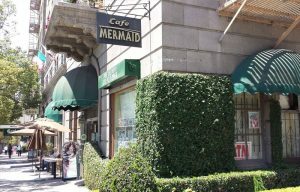 Located in the historic University Park area near USC, it offers espresso drinks, coffee, breakfast, lunch, dinner and even catering. 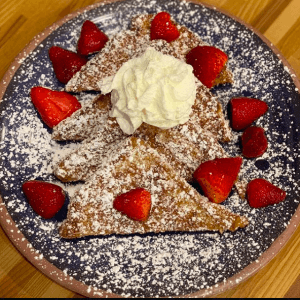 Priced for value, the menu features delicious options such as breakfast burritos, breakfast tacos, fresh fruit with yogurt & granola, pancakes & crepes, omelettes, and a classic bacon & egg breakfast with hash browns. Due to the popularity and increasing demand for brunch menu items in Koreatown, Klat offers simple yet exquisite dishes all carefully crafted using the finest ingredients and fresh breads baked daily. The modern upscale interior with elegant touches of copper and green trees were designed to offer guests an exceptional and relaxing experience from dining to décor. Klat takes special pride in their coffee, working closely with roasters to ensure a premium cup of brew each and every time. 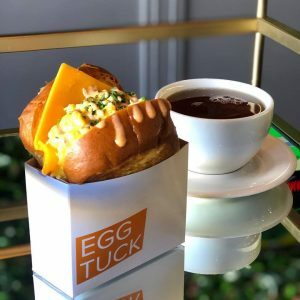 Featured in Eater LA, LA Weekly, Thrillist, Dine LA, and Time Out LA, Egg Tuck is an Urban Egg Sandwich & Coffee shop located within Milk Tavern on S. Western Ave. 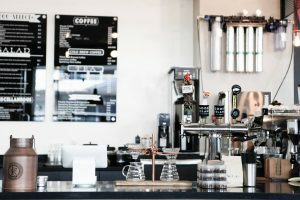 The restaurant offers the hottest trending breakfast sandwich concept from Korea, made from scratch with cage free eggs, served on a premium brioche bun, freshly made in-house everyday. All sandwiches include Chives, Signature Egg Sauce, and House Sriracha Mayo. Egg sandwiches range from Simple Signature Scrambled Eggs, Ham & Cheese, and Avo Egg (Signature Scrambled Eggs & Fresh Avocado), to the lavish Royal West (Tteok-Galbi (Galbi/Beef Short Rib), Over-Medium Egg, Cheddar Cheese, Pickles, Grilled Onions). Boasting “honest breakfast food in the heart of Koreatown,” The Potato Sack serves a tempting array of eggs and omelettes, with choice of toast, diced hash browns, tater tots, potato wedges, rice, salad, pancakes. Omelettes include Truffle Cheese, Arugula Ham & Cheese, and Jalapeño Teriyaki Beef. The restaurant also offers Rice Bowls (Arugula Pickle, Spinach Jalapeño), Breakfast Burritos, and Bacon or Spinach Mushroom Benedict. For something special, try their famous Panko Crusted French Toast with fresh fruit and whipped cream. This cheery cafe handcrafts tasty all-natural dishes made with quality ingredients sourced from local farms. 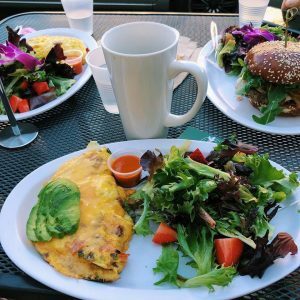 The nicely curated breakfast menu offers Bagel & Cream Cheese, Egg & Cheese Sandwich, Breakfast Burrito, Cinnamon Sugar French Toast, Buttermilk Pancakes, and a variety of omelettes. You can also order healthy food online to enjoy in the comfort of your home or office. All Day Breakfast is served Monday through Friday from 7:30AM to 5PM. Saturday hours are from 8:30AM – 1:30PM. Closed on Sunday.